Bulgaria’s history dates back to when the Thracians lived in the region now known as Bulgaria circa 3500 BC. They were incorporated into the Roman Empire in the first century AD. Bulgaria’s history also dates back to the fact that when the Roman Empire began to decline, the Goths, Huns, Bulgars, and Avars invaded the current region of Bulgaria. The Bulgars, who crossed the Danube from the north in 679, took control of the region. Although the country bears the name of the Bulgarians, the Bulgarian language and culture died, replaced by a language, writing and slovenian religion . Continuing the story of the history of Bulgaria we can say that in 865, Boris I adopted Orthodox Christianity as a religion. The Bulgars twice conquered most of the Balkan Peninsula between 893 and 1280. But Bulgaria’s history also tells us that in 1396 they were invaded by the Ottoman Empire, which made Bulgaria a Turkish province until 1878. Ottoman rule was harsh and inescapable, Bulgaria surrendered to his oppressor. The history of Bulgaria said that 1878, Russia forced Turkey to give independence to Bulgaria after the Russo-Turkish War (1877-1878).This is considered as very important in the history of Bulgaria and is currently still celebrating that fact. But the European powers, fearing the dominance of Russia and Bulgaria in the Balkan area, participated in the Berlin Congress (1878), and the territory of Bulgaria limit myself to a small principality ruled by Alexander of Battenburg, the nephew of Russian tsar. Alexander was replaced in 1887 by Prince Ferdinand of Saxe-Coburg-Gotha, who declared a kingdom independent of the Ottoman Empire on October 5, 1908. Continuing the story of Bulgaria have to mention that with the First Balkan War (1912-1913), Bulgaria and other members of the Balkan League fought against Turkey to regain Balkan territory. Bulgaria’s history tells us that Bulgaria was upset by the small portion of Macedonia it received after the battle, as it considered Macedonia an integral part of Bulgariam then the country instigated the Second Balkan War (agosto-junio. 1913) against Turkey and their former allies. Another very significant and important fact in the history of Bulgaria was that Bulgaria lost the war and all the territory that had won the First Balkan War. On the other hand we can say that Bulgaria joined Germany in the World War hoping to win over Macedonia. 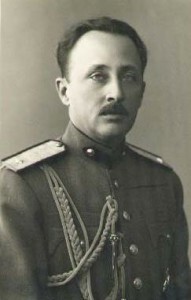 After this second failure in the history of Bulgaria, Ferdinand abdicated in favor of his son in 1918.Boris III of Bulgaria wasted resources and assumed dictatorial powers in 1934-1935. 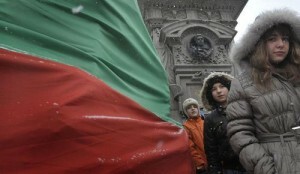 What is considered a very painful fact in the history of Bulgaria. Bulgaria fought for the Nazis in World War II, but after Russia declared war against Bulgaria on September 5, 1944, Bulgaria switched sides. Also today is an embarrassment to the history of Bulgaria admit that supported the Nazis. Three days later, on September 9, 1944, a Communist coalition took control of the country and established a government under Kimon Georgiev. Continuing the story of Bulgaria we found that a Soviet style was established in 1947 in the people of Bulgaria and Bulgaria acquired the reputation of being the most slavishly loyal to Moscow of all Communist countries of Eastern Europe. The general secretary of the Bulgarian Communist Party, Todor Zhikov, went in 1989 after 35 years in power. His successor, Peter Mladenov, purged the Politburo and ended the Communist monopoly on power, and held free elections in May 1990 that led to a surprising victory for the Communist Party, renamed the Bulgarian Socialist Party (BSP).Mladenov was forced to resign in July 1990. Trascedendental year in the history of Bulgaria. Keywords: History of Bulgaria. Wars of Bulgaria. Governments of Bulgaria. Bulgaria Companies. First World War in Bulgaria. Second World War in Bulgaria. Important events in Bulgaria. Historical Information of Bulgaria.